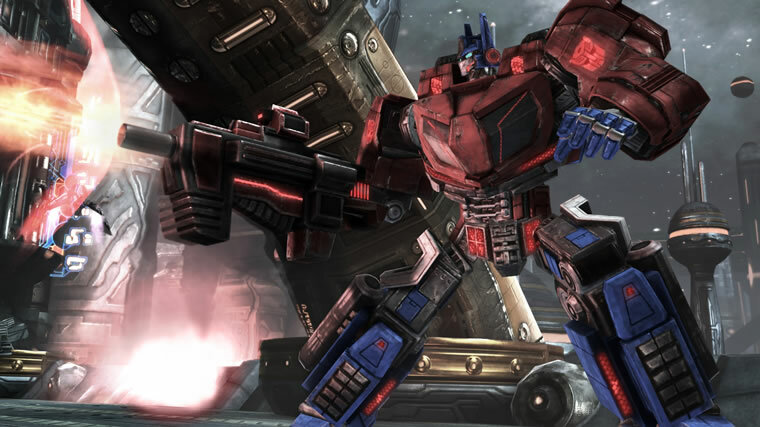 The latest Transformers movie is out in the cinemas right now, but will the latest offering from Activision just be another one of those mediocre movie tie-ins or will Rise of the Dark Spark actually rise above the rest? The thing is, Edge of Reality (the developers) have taken a strange route. 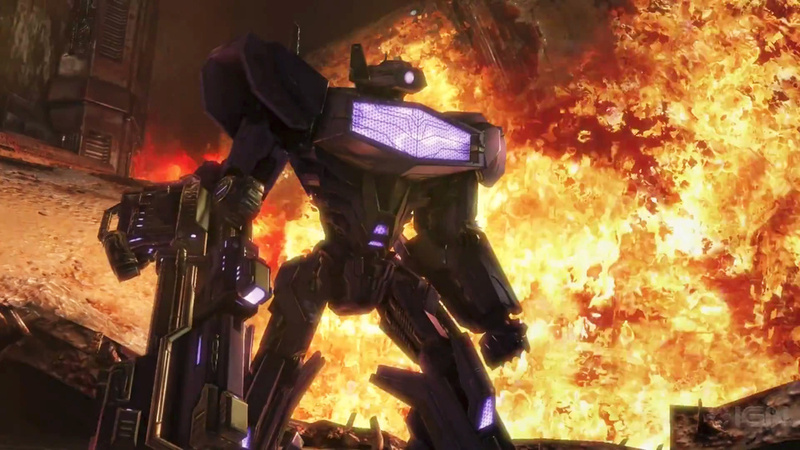 RotDS isn’t a full-on movie game, but instead you’ll find a third person shooter that has tried to bridge the gap between the goings on on Cybertron and Earth whilst at the same time following up loosely on the Micheal Bay movie, Age of Extinction. And what we seem to have is a bit of a rush job. Gameplay wise, things are just about okay. The power to manipulate the universe is a big one but with hands on the Dark Spark, the Decepticons will get to do exactly. Of course, the Autobots are going all out to stop them and you get to play through the story campaign from both sides of the die. One minute you’ll be tearing things up as Shockwave, Starscream or Lockdown whilst five minutes later you’ll get the chance to even the war up a little by sending in the likes of Drift, Ironhide or everyones favourite Bumblebee. The worlds of both Cybertron and Earth are reasonably well represented albeit without a great deal of exploration opportunities. The levels are, in the main, narrow strict affairs that see you moving from point to point despatching any enemies that may just be foolish enough to get in your way. However, the battle mechanics are pretty damn neat and work extremely well. With a massive choice of weaponry, hacks, T.E.C.H and abilities all available and changeable, you’ll get the chance to think ahead and pick the required ‘tools for the job’ if you so need to. Throughout the game, Gear boxes will be unlocked and you’ll find these filled to the brim with random ammo boosters, shield boosters, 2XP multiplayers, further character unlocks and more. The Gear boxes bring a very slight element of strategy to proceedings and without them you’ll find yourself struggling to get either the Auotbots or Decepticons through to the latter stages of the campaign. Unfortunately, things are let down by a save system that is absolutely horrid. Find yourself being killed by the enemy and you’d expect to be placed back at a checkpoint somewhere near those all important Gear boxes in order to regroup, restock and get the chance to hit the difficult bit in a slightly different way. That’s not always the case though and there are too many times when a checkpoint will place you in a position where you’ll need to go up against the enemy again with very little supplies, no more hacks or T.E.C.H help and a massive struggle in front of you. Thankfully you can turn the difficulty level down mid-game in order to get past those frustrating points but in all my years of gaming I’ve never wanted or had to do such a thing….until now that is. Just a little foresight from the developers would have made things so much nicer. Forgetting about that little misdemeanor, Transformers Rise of the Dark Spark is surprisingly good fun to play and is something I strangely got drawn to even with the frustrating level design. Perhaps it was the kid in me that looked forward to the constant ‘transforming’ from robot to vehicle (which being totally honest NEVER got old! ), or perhaps it was just the chance to experience another game as one of my favourite 80’s toys. Whichever it was, I was more than happy to ignore the issues mentioned above and just play through the game with fun intentions in mind….although some of the sounds coming your way when playing in vehicular form are just horrendous and would almost make your lose it. So there we have it. 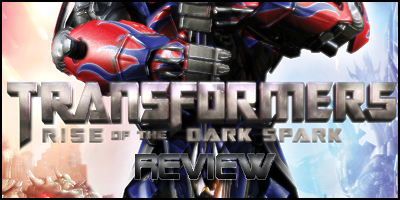 There’s not an awful lot more to say……Transformers: Rise of the Dark Spark is at best a game to play through when you’ve completed everything else and got a spare day or two for some mindless fun. Whilst Transformers fans (or those 80’s kids trying to relive their youth), should be just about okay with it, don’t expect anything special or new. The Dark Spark is just about flickering, but it won’t be long before it dies. Next articleOriginal Alien cast reunited for Isolation pre-order DLC. Trailer included.